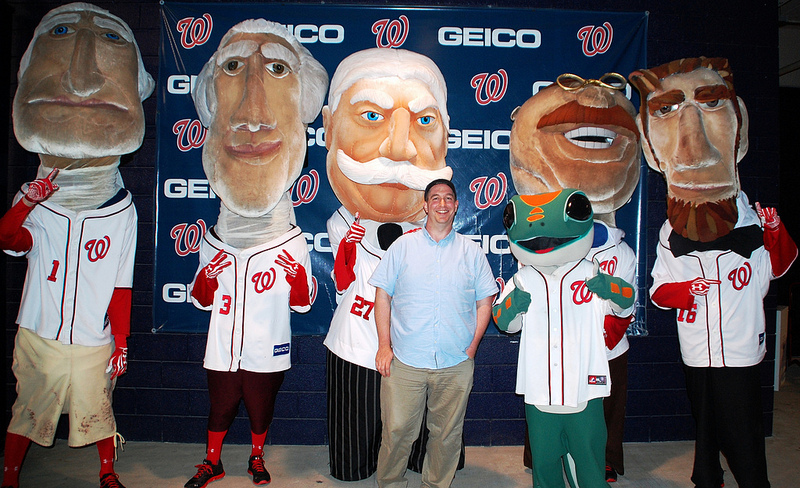 A few innings later I got to meet the Racing Presidents, who were hanging out in the stadium concourse. 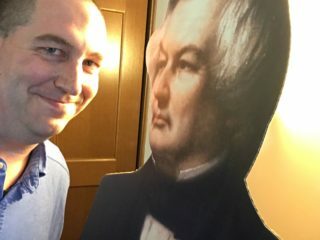 I’ve posted the official photo of our meeting before – but today I’m also sharing the photos you haven’t seen: the ones where a bro who wasn’t paying attention just jumped into the picture and gave a bro pose, before Nationals staff told him to wait three seconds. I’d forgotten all about this excitable guy. I hope he eventually got his glamour shot with the Racing Presidents. Or maybe this was his glamour shot?